Crisscrossing the streets of Toronto, it struck me that I had to look harder there than in Montreal to find graffiti or street art. But what’s to be found in Toronto is every bit as varied and creatively expressed, as shown by these two examples, both in the Ossington Avenue area. I’ll post more later. If there has to be graffiti, I guess happy fruit is the way to go. Ahh — the debate about different classes of street art. 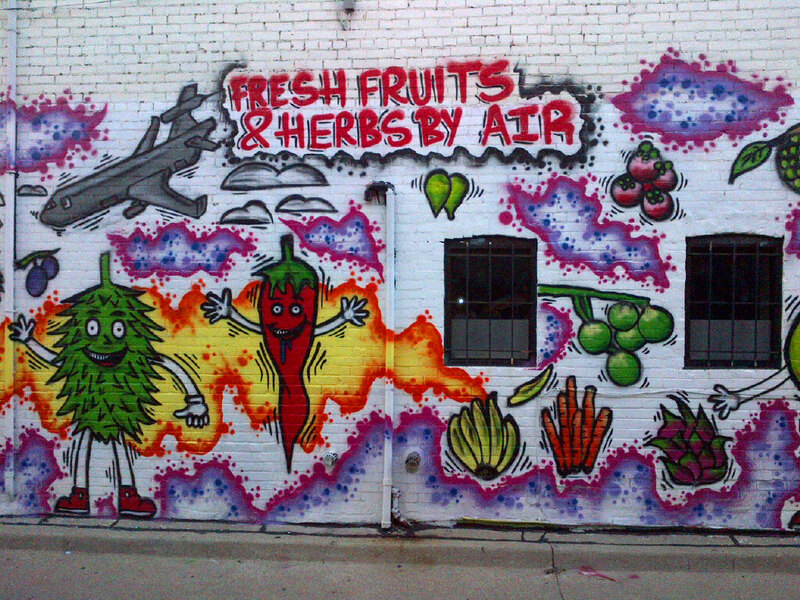 There is lots of street art in Toronto — & you’re going to have such a good time discovering it! So true! And I have! 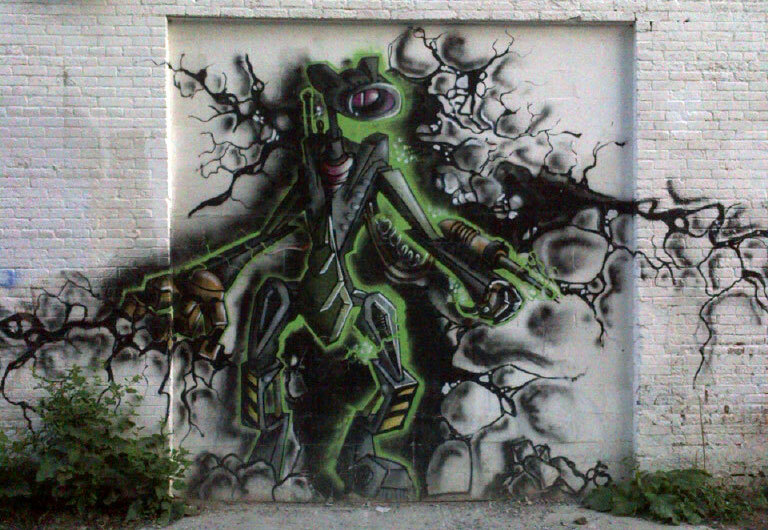 that is really cool… never see much graffiti in Canada. In Italy a few years ago and it was over run with it. The larger cities seem to have their fair share, but I agree that, comparatively, Canadian cities seem to have less of it than other large cities elsewhere. Then there is Shanghai, China… I don’t think I really have seen any at all! Once an odd symbol on the road, but not graffiti as we know it.